Puri: Internationally acclaimed sand artist Sudarsan Pattnaik has created a sand sculpture on the birthday of Bollywood actor Akshay Kumar. 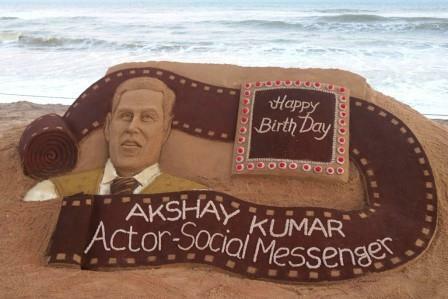 The sand art has been created with the message “Happy Birthday Akshay Kumar, Actor – social Messenger” at Puri beach in Odisha. The Khiladi star will turn 51 on Sunday. Sudarsan has used about 5 tons of sand to create this 5ft high sand sculpture. “I created this sand sculpture on the 51st birthday of actor Akshay Kumar who spread social awareness messages through his film in the society as a social messenger,” said Pattnaik. 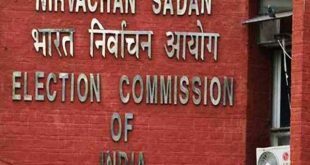 So far, Padma awardee sand artist Sudarsan has participated in more than 60 international sand sculpture championships and festivals around the world and won many prizes for the country. He always tries to spread social awareness message around the world through his sculpture.